„Economics of the Commons Conference – From Seed Form to Core Paradigm” (ECC). Economic systems depend on a multitude of social circumstances and are essentially linked to lifestyles. Therefore there is a need for new sustainable lifestyles which secure modern ecological closed-circle-economy, sufficiency and affluence, but are no longer relying on the economic growth strategies of state and market. The new commons movement, emerged in the last 20 years, might be a promising key actor for this challenge. But there is a gap between ecological commons activists and digital commons activists – concerning age, habitat, world view, life style and communication style. Not seldom do the former feel committed to rural life styles, the latter are not seldom oriented towards urban life styles. Using the example of the holistic approach of ecovillages, the roundtable will examine opportunities for mutual learning, exchange of practices and mainstreaming of the achievements of both camps. The expert roundtable will examine this challenge by contrasting socalled ‚ecovillages‘ with the modern digital commons scene. They represent different generations and different life styles, but share the same understanding of a good life and well-being. The commons economies created in both milieus reflect these life styles and life ideals. The roundtable serves as pilot event of a broader workshops series under the title „Sustainable Lifestyles through a Commons Economy“. This series examines the possibilities of mainstreaming social and technological innovations of ecovillages. Due to their size and the quantity of residents, ecovillages are the best known examples of intentionally created communities for an ecological and social sustainable way of life (Intentional Sustainable Communities = ISCs). Based on a holistic approach, ecovillages are important laboratories for commons-sensitive lifestyles and a new kind of economy. Ecovillages have developed intelligent structures for dealing with scarce economic resources. Even if their members often have only a low monetary income, nevertheless ecovillages secure wealth and prosperity for them. This can be observed, for example in the living comfort, provision of household appliances, services for child-care and care of the elderly, forms of accommodation adjusted on individual needs, low prices for high quality food, for healing services and for mobility. Ecovillages offer suitable conditions for family formation and family stability. Their communal life also provides experiential and experimental spaces. The milieu of digital commons activists creates new technological instruments, which are able to overcome obstacles (e.g. geographical distance) against maintaining social contacts as well as barriers against enjoying and making cultural products such as music, film, poetry and fiction. They offer knowledge resources like Wikipedia or Open Source Ecology. They provide know-how and experience in the effective coordination of political, social and economic activities through the Internet, which have significant impact in the physical world (e.g. crowd sourcing, the Pirate Party, Wikipedia or the blogosphere). The Digitals, who tend to be younger than the people from ecovillages and are deeply rooted in urban milieus, have access to and connect with the modern cultural sector. They observe and participate in new cultural and artistic trends. But just like the ecovillagers they are deeply committed to participation, inclusion and grass root activities. Their solutions live from sharing and giving and often seek to transcended the monetary-based market economy. The movements for protecting ecological commons and the movements for cultural commons both share a deeper understanding of sustainability. A coalition will presumably increase the viability and impact of both camps. But the alliance between them is neither broad nor deep nor strong – if it exists at all. Not seldom do the former feel committed to rural life styles (and emphasize corresponding ideals), the latter are not seldom oriented to urban life styles. Sometimes activities of the other side are belittled as irrelevant, sometimes they are seen as a step backwards. How can they be interlinked and integrated? How could they benefit from each other? The roundtable wishes to focus on the possibilities of implementing social and technical innovations of ecovillages into urban contexts (such as new types of housing and living) and to consider the value and usefulness of urban commons activities for a rural sustainable development and the economic cycle of ecovillages. The roundtable takes place at the occasion of the „Economics of the Commons Conference – From Seed Form to Core Paradigm” (ECC) 2013 in Berlin. Depending on the participation of international experts, the workshop will be held in English. The roundtable serves as pilot workshop of a broader event series under the title „Sustainable Lifestyles through a Commons Economy“. This general project examines the possibilities of mainstreaming social and technological innovations of ecovillages. 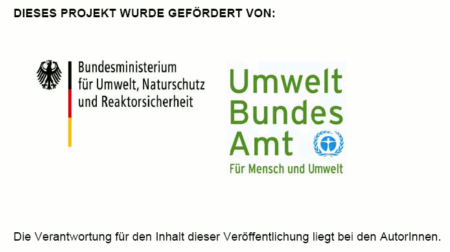 It will be funded by the UBA, the federal German environmental protection agency and the BMU, the Federal Ministry for the Environment, Nature Conservation and Nuclear Safety. The responsibility for the content of this publication lies with the authors.